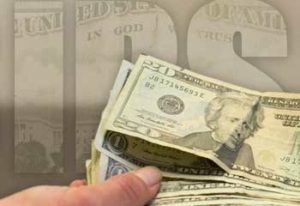 Tax filing season started on January 23, 2017, but for some, this will not mean the speedy refund they are used to getting. Earned Income Tax Credit refunds will be delayed until February 15th, with most going out starting February 28th. This means refunds with Earned Income Tax Credits will start to be released by February 15th, but most taxpayers who face the delayed refunds will not start to see the funds arriving in their bank accounts or by check until around February 28th. Additionally, returns claiming the Additional child Tax Credit will also be held. These changes which were mandated when the 2015 PATH (Protecting Americans from Tax Hikes) Act was passed, will impact most taxpayers who have children they claim on their tax return. Many taxpayers know what the Child Tax Credit, which is worth up to $1,000.00 per child, is but the Additional Child Tax Credit (ACTC) is more complicated and not as easily understood. Earned Income Tax Credit (EITC) is also difficult to understand, so difficult in fact that almost 20% of taxpayers who are eligible to claim this credit fail to. The ACTC allows a taxpayer to take the unused portion of their Child Tax Credit and potentially receive the unused portion as a refund. EITC was developed to help out low to moderate income earners. This credit is based on family size and income along with other factors. In 2016, the maximum EITC was $6,269.00. Taxpayers not claiming this who are eligible are really missing out on monies that could help out their finances and their families. Taxes are complicated and the ‘box’ software does not always guide you to answer the proper questions in a correct manner to ensure you are able to receive all your tax credits to which you are entitled. The IRS has said that roughly sixty percent of U.S. taxpayers pay a professional to prepare their tax return forms for them. Sadly, this still does not guarantee that the returns are being prepared accurately. 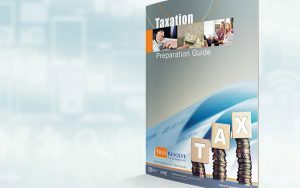 Many return preparers are never tested on their knowledge of current tax issues or required to complete annual training or education to keep up to date with the constantly changing tax code. 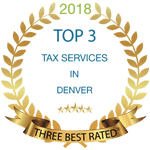 As Enrolled Agents, True Resolve Tax’s licensed staff is required to undergo a background check, pass a stringent three-part exam and complete annual continuing education courses. This is why EA’s are known as “America’s Tax Experts”. True Resolve Tax is able to work with clients in any state within the U.S. since we carry Federal licenses and not State licenses.